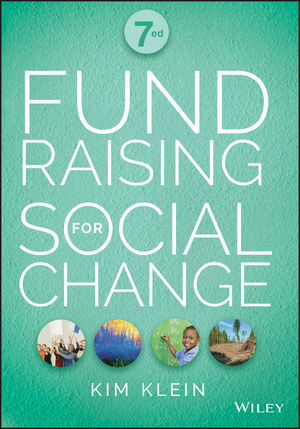 This bestselling book is one of the most widely used in the field by nonprofit organizations across the country. A soup to nuts description of how to build, maintain and expand an individual donor program, this book is often called "the Bible of grassroots fundraising". 1 The Landscape of the Nonprofit Sector. 2 Key Principles of Fundraising. 3 Matching Fundraising Strategies with Financial Needs. 4 Creating a Case Statement. 5 The Board of Directors. PART TWO: Strategies for Acquiring and Keeping Donors. 6 Getting Comfortable with Asking for Money. 7 The Logistics of Personal Solicitation. 8 Using Special Events Correctly. 9 How to Plan a Special Event. 10 Details of Two Prototypical Events. 12 The Logistics of Direct Mail. 14 Creating an Online Fundraising Program. 15 Establishing Voluntary Fees for Service. 18 The Thank You Note. PART THREE: Strategies for Upgrading Donors. 20 Setting Up and Maintaining Monthly Donor Pledge Programs. 21 Building Major Gifts Programs. 23 Launching Major Gifts Campaigns. 24 Setting Up an Endowment. PART SIX: You the Fundraiser. 33 Hiring a Development Director. 34 Using a Consultant, Coach, Mentor, or Trainer. 36 Working with Your Executive Director. 37 Ethical Dilemmas Common to Fundraising. PART SEVEN: Budgeting and Planning. 39 Creating a Fundraising Plan. 40 What to Do in Case of Financial Trouble. 41 Raising Money in Rural Communities. 42 Fundraising for a Coalition. 43 When Everyone Is a Volunteer. 45 The Perennial Question of Clean and Dirty Money. Kim Klein is widely regarded as one of the most important figures in the field of grassroots fundraising, both as a writer and a practitioner. In great demand as a speaker and presenter, she has provided training and consultation in all fifty states and twenty-one countries. Klein specializes in training nonprofit organizations working for social justice with budgets of less than $2,000,000 on how to build a broad base of individual donors. She began her fundraising career while studying to be a Methodist minister and working in one of the first domestic violence programs in California, La Casa de las Madres, in San Francisco. Since then, she has been development director, board member, and volunteer for numerous organizations working for social change. Klein founded the Grassroots Fundraising Journal in 1981 and is the author of Fundraising for the Long Haul, Fundraising in Times of Crisis, and Ask and You Shall Receive. She also edited Raise More Money: The Best of the Grassroots Fundraising Journal with her partner, Stephanie Roth. She lives in Berkeley, California.